New finance chief Tito Mboweni is one of the country’s most respected black economists, and his decade at the helm of the reserve bank adds credibility to Cyril Ramaphosa’s government. Ties to Goldman Sachs, though, could make him a target for political criticism at home. 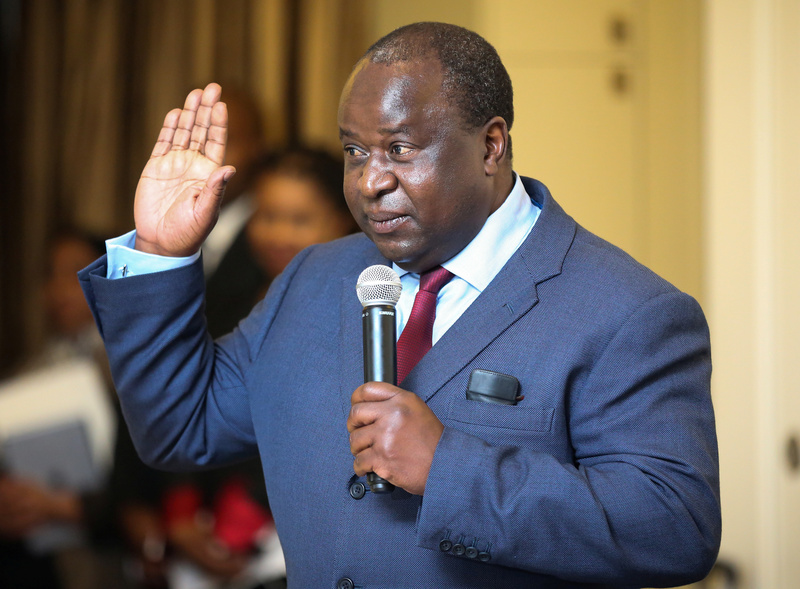 Newly appointed South African Finance Minister Tito Mboweni is sworn in, in Cape Town, South Africa, October 9, 2018. South African President Cyril Ramaphosa picked former central bank Governor Tito Mboweni on Oct. 9 to replace Nhlanhla Nene as finance minister. Ramaphosa said Nene had resigned after revelations about his meeting with members of the Gupta family, controversial business friends of ousted President Jacob Zuma. Nene has denied any wrongdoing but Ramaphosa said Nene felt the revelations could undermine his work. Nene told a judicial commission on Oct. 3 that Zuma had fired him in December 2015 for refusing to approve a $100 billion nuclear-power deal with Russia. The rand was more than 1 percent firmer at just over 14.7 to the dollar at 1514 GMT on Oct. 9.